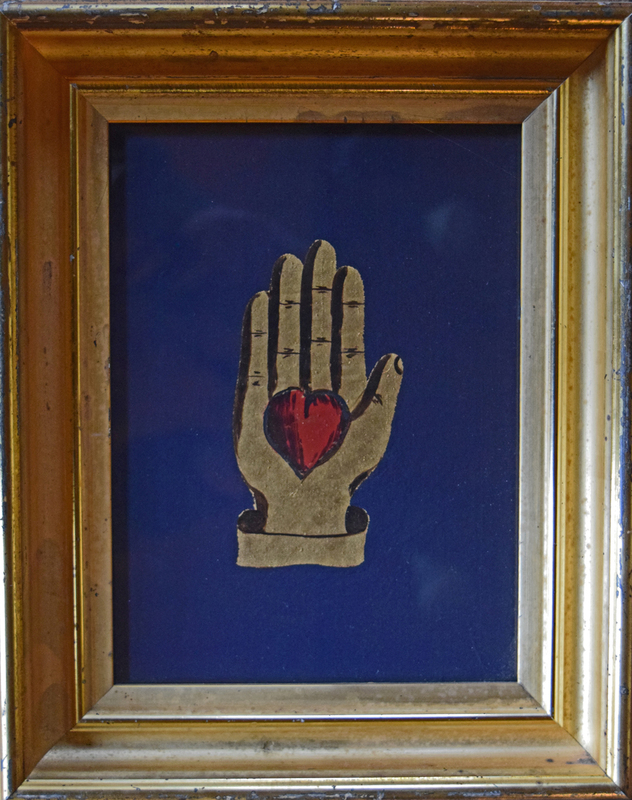 Axtell Antiques Deposit, NY 607-467-4444 rsaxtell@msn.com A heart in hand motif hand painted on dark blue silk. Enclosed in a period lemon gold frame. Ca. 1840. 10" x 12".